Merrimack News: World reacts to Trump's 'shithole countries' remarks / El mundo reacciona a los comentarios de Trump sobre los "países de mierda"
World reacts to Trump's 'shithole countries' remarks / El mundo reacciona a los comentarios de Trump sobre los "países de mierda"
El mundo reacciona a los comentarios de Trump sobre los "países de mierda"
Las quejas del presidente de EE. UU. Donald Trump sobre los inmigrantes que llegan a los EE. UU. De los "países de mierda" provocaron la condena de todo el mundo. En los Estados Unidos, los legisladores demócratas y republicanos criticaron los comentarios de Trump como "divisivos" e "inaceptables", mientras que Haití, uno de los países nombrados explícitamente por Trump, convocó al principal diplomático estadounidense para discutir los comentarios del presidente. Trump's remarks come as Haiti prepares to commemorate eight years since a 7.0-magnitude earthquake killed hundreds of thousands of people and displaced many more. As a result of the disaster, citizens of Haiti were accorded Temporary Protected Status, granted to individuals from countries where conditions such as war, natural disasters or political strife prevent citizens from returning safely. Former Haitian President Laurent Lamothe said the "world is witnessing a new low today" and called Trump's remarks "totally unacceptable!" "It shows a lack of respect and ignorance never seen before in the recent history of the US by any President," Lamothe tweeted. As the US ambassador position in Haiti is vacant, the charge d'affaires at the embassy, Robin Diallo will meet with President Jovenel Moïse Friday, a senior State Department official told CNN. Nepal, which became a Temporary Protected Status nation after an earthquake in 2015, said authorities were discussing their response to the matter. The country's Foreign Minister Bharat Raj Paudyal told CNN "we are aware of President Trump's comments, and our ministry is discussing the matter." On Twitter, former Mexican President and longtime Trump critic Vicente Fox said the US leader's mouth "is the foulest shithole in the world." "With what authority do you proclaim who's welcome in America and who's not. America's greatness is built on diversity, or have you forgotten your immigrant background, Donald?" he said. David Miliband, president of the International Rescue Committee and former UK Foreign Secretary, said the "Trump Administration (is) leading a race to the bottom on refugees and immigrants that is a betrayal of America's future as well as of its history." Trump insulted the entire continent of Africa in his comments as well, leading to fierce reaction on Twitter. 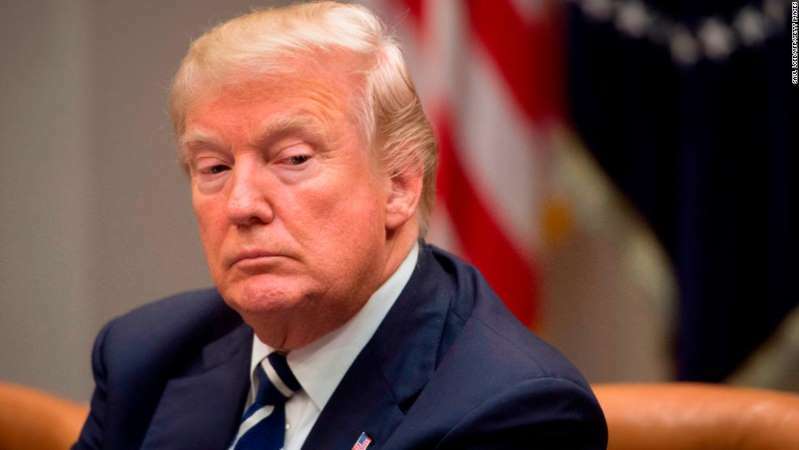 Kenyan activist and politician Boniface Mwangi said "how America elected a narcissist, racist, white supremacist to be their president defies logic." "Africa sends love and light to America," he added. South African journalist Leanne Manas tweeted "good morning from the greatest most beautiful 'shithole country' in the world!"